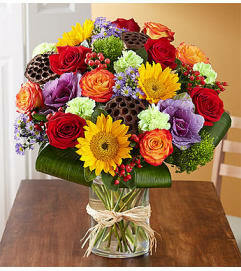 Express all of those feelings by sending our luxurious arrangement in all the rich shades of the season. 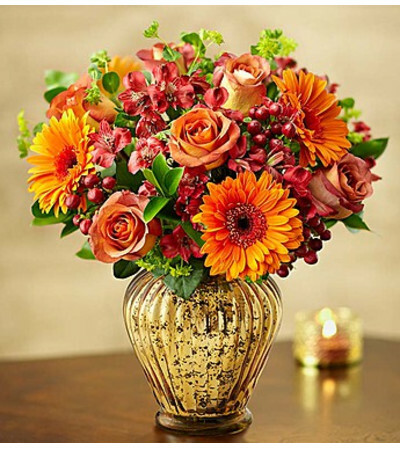 Hand designed inside a gorgeous gold vase with a striking metallic finish that captures the beauty of each bloom. 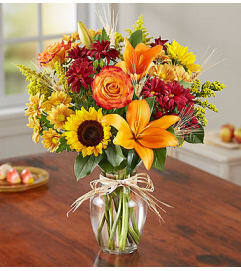 This one-of-a-kind gift will leave someone smiling and feeling special… which is the greatest gift of all!